Part of the Anholt's Artists series. Entertaining and accessible story portraying Cezanne from a child's point of view. Paul Cezanne was one of the greatest of the French impressionist painters. 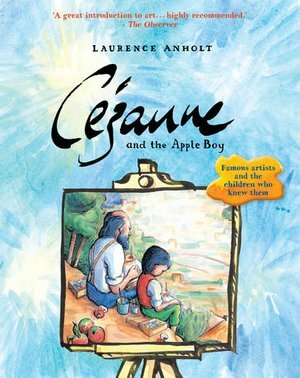 This delightful book follows his son, also called Paul, as he travels to the mountains to spend a summer with his father. He discovers that his father, a very large man, paints the natural world with a passion that few can understand. But one day they meet an art dealer in a village who offers to try to sell some of the paintings in Paris... the rest is history.